The rise in American couples living together outside of marriage is a deadly dangerous trend. More and more people in America seem to think that marriage is old-fashioned and unnecessary. Back in 1978, 59 percent of Americans ages 18 to 34 were married. Fast-forward 40 years, and only 30 percent of Americans in the same age bracket are married today. According to the United States Census Bureau, of Americans age 25 to 34 years old in 2008, 12 percent lived with a partner, unmarried. 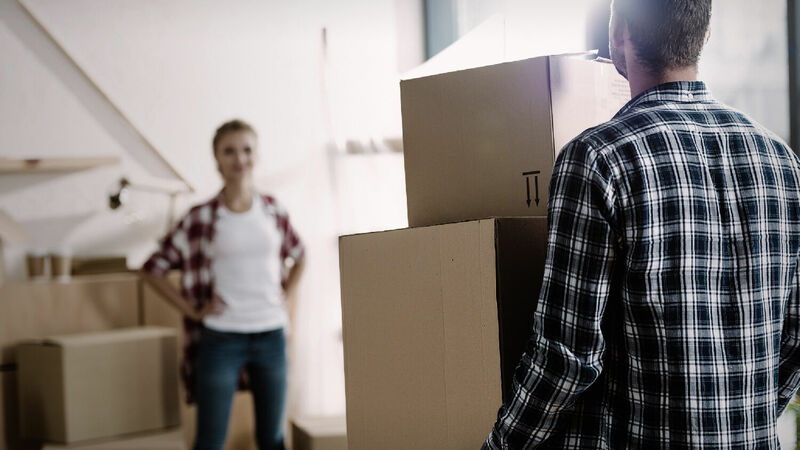 In 2018, 15 percent of 25- to 34-year-olds are cohabiting. That is a 25 percent increase over 10 years. Even among couples who do get married today, almost two thirds “take a road test” through cohabitation before they marry. They reason that living together helps them determine whether or not they are compatible with each other. However, the evidence does not support this reasoning. In studies performed over the past 40 years, couples who lived together before marriage were much more likely to divorce than couples who did not live together. This is not the only proven disadvantage of unmarried cohabitation. Cheating and unfaithfulness are far more common among cohabiters than married couples. The chance for domestic violence increases with cohabitation compared to marriage. People practicing cohabitation experience more depression and harmful addictions than those who are married. Some studies even show that the average married couple earns more money than the average cohabiting couple. Some cohabiting couples are not even living together for the sake of “road testing” a possible marriage. Rather, they simply want to share the costs of living by sharing the same residence as their sexual partner. When they no longer want to be with that partner, they have an “easy out.” But research indicates that even this arrangement does not pan out for most the way they expect. Too often, young adults enter into what they imagine will be low-cost, low-risk living situations only to find themselves unable to get out months, even years, later. It’s like signing up for a credit card with 0 percent interest. At the end of 12 months when the interest goes up to 23 percent you feel stuck because your balance is too high to pay off. In fact, cohabitation can be exactly like that. In behavioral economics, it’s called consumer lock-in. Besides all these negative effects of cohabitation, there is another, more simple, more important reason that it should not be done. If someone gave you a piece of advice meant to help you both now and in the long run, a piece of advice that would make your life happier and more fulfilling, wouldn’t you want to listen to that advice? Such loving, beneficial counsel can be found in the Bible. “Thou shalt not commit adultery” (Exodus 20:14). It is that simple. In the seventh of God’s Ten Commandments, God commands us to refrain from sexual immorality. This includes living together and having sexual relations outside of marriage! God is love (1 John 4:8), and the law that He established is love (Romans 13:10). God gave us the Ten Commandments because He loves us, and if we obey them, our lives will be so much better! The law is given to show us what is good for us. Just like the speed limit is reduced on a treacherous, winding road so that a driver does not wreck, the law of God shows us how to avoid trouble in our lives. On a personal level, cohabitation—adultery—brings strife, heartache, depression, stress and anguish into people’s lives. Adherence to God’s law can protect us from those things. On a national level, the effects of sexual immorality are even more disastrous. The Trumpet has been watching the decline in American morality for years. The decrease in marriages, combined with the increase in unmarried couples living together, is yet another example of the United States’ forsaking the foundational family structure upon which strong nations are built. America’s slide toward immorality and secularism has made its people complacent about—and even celebratory of (Isaiah 3:9)—sin. Family breakdown is the ultimate underlying cause of a society’s problems, and that breakdown results from disobedience to God’s law. In Leviticus 26 and Deuteronomy 28, God promises national blessings upon national obedience. But if our people disobey God, as they are doing today, God says He will inflict national curses! That is what the nationwide acceptance, promotion and practice of adultery in the form of cohabitation is bringing upon us! So what is the purpose of marriage? Why does God condemn sexual immorality and promote marriage? Were it not for the very fact that we were created in God’s very likeness, with the very purpose of being born of God—born into God’s own Family—the marriage institution, giving us the experience of family life, would never have been ordained. If we were mere animals, developed by evolution, marriage would never have existed. Human men never did think out, devise or institute the relationship of marriage, with family and home life. Marriage was ordained by God—not by man. It is governed by the laws of God—and man has no jurisdiction over it, in God’s eyes. That is why marriage is so important! The relationship between family members—between a husband and a wife in particular—points to the awe-inspiring purpose behind the creation of man! Read Mr. Armstrong’s booklet Why Marriage—Soon Obsolete? for a deeper understanding of what that purpose is and how you can become part of the God Family!